Aah Origins – I’m not even wrinkly yet but I still can’t say no to your Anti-Aging serum! Well, as they say, prevention is better than cure! So it is several years early but full of optimism that I’ve recently been trying out the Plantscription Anti-Aging Power Serum. 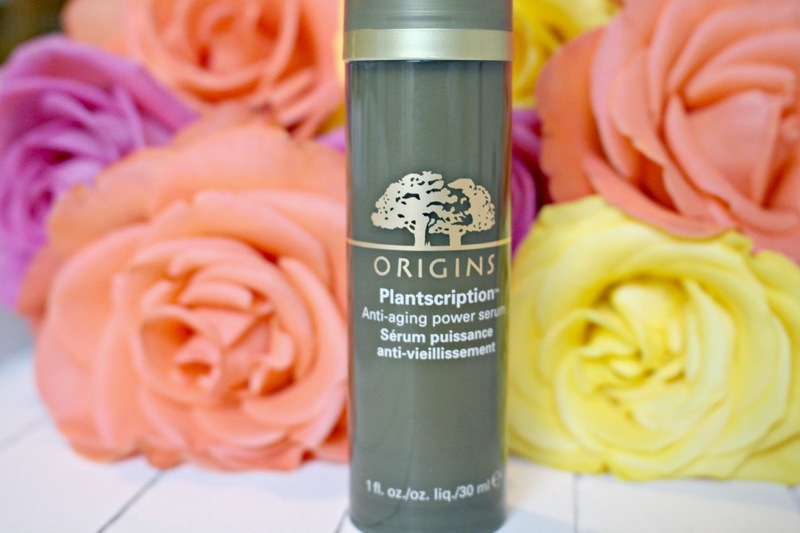 Origins claim that the Plantscription Power Serum can improve the signs of ageing and also reduce the appearance of lines and wrinkles – the holy grail of skincare it would seem! In the month or so that I’ve been using the serum I would be exaggerating if I said it had any anti-aging impact on my skin – how can I tell? But what I have noticed is that my skin tone seems even, I have less of a problem of certain areas being oily while others are dry, and my skin feels rejuvenated after I apply the cocktail of over 20 key ingredients. The scent is fresh and citrusy, I love to apply it after a steamy shower when I feel that my skin is most absorbent – keen to make the most of the potent plant extracts! To give you a glimpse into the journey that went into the creation go the Serum, Origins have launched a digital platform, which includes videos journeys which explore the habitat of Plantscription’s natural anti-aging ingredients along a 30,000 mile journey which you can check out here. Definitely worth a watch if you want to know where the ingredients come from! As my lovely Mumma pointed out, it is a bit of a splurge at £48 for the bottle from Origins here, but you can try out a two week sample for free by following the links on the microsite to check that you like it first! What do you think about early anti-aging products, would you give this a go?